Pick one up at City Lights (261 Columbus Ave). Order one by mail ($7 to cover postage and a trip to the P.O.). 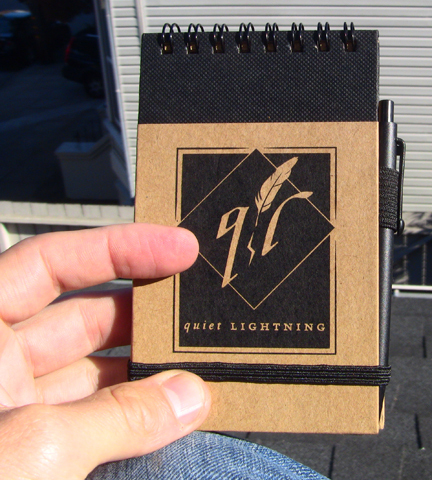 Fill up the notebook with your own writing and/or sketching. Postmark no later than Oct. 31. You can write anything into the book — maybe you wrote a chapbook last year and haven’t published it yet. Write it in! You can’t in any way affix things to the book — no stapled or glued pages, etc. Your writing must be legible! The books each have 60 3×5 pages (though feel free to remove one/some should you need to). Author of selected entry will have a chance to make edits. Author of selected entry will receive a basic publishing contract, including royalties. Our January show will be a release party for our first non-sparkle + blink book. If you want the book back you can have it back when the contest is over if you pick it up at one of the shows. That was our first book contest! 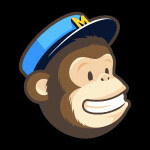 Thanks to everyone who entered; we sent books all around the Bay Area and as far away as Ohio, New York, and Australia. The winners were Zack Haber and Tupelo Hassman, and their books were published on April 7th, 2014!